The Film Society of Lincoln Center has announced its avant-garde Projections series, the second NYFF sidebar series. You will find the complete listing of offerings here. The lineup has been announced for Projections, the New York Film Festival’s avant-garde section, taking place from Friday, October 2 through Sunday, October 4. This year’s lineup, which includes 14 programs, presents an international selection of film and video work that expands upon our notions of what the moving image can do and be. Drawing on a broad range of innovative modes and techniques, including experimental narratives, avant-garde poetics, crossovers into documentary and ethnographic realms, and contemporary art practices, Projections brings together a diverse offering of short, medium, and feature-length work by some of today’s most vital and groundbreaking filmmakers and artists. The other, smaller, sidebar series is the interactive-focused Convergence series. You'll find that described here. Details have been announced for the Convergence section of the 53rd New York Film Festival, which will take place on September 26 and 27. The annual program delves into the world of immersive storytelling with a mix of unique films, panels, and live interactive experiences. The schedule will be announced at a later date. 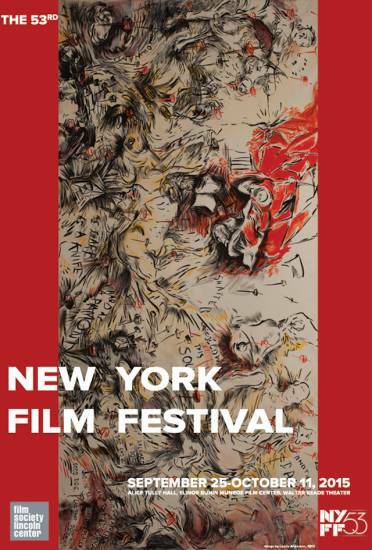 “This is our fourth year as part of the New York Film Festival and I couldn’t be more excited about the lineup for 2015,” said NYFF Convergence programmer Matt Bolish. Last edited by Chris Knipp; 08-24-2015 at 05:06 PM. NYFF53 2015 Special events and revivals series. 21 Aug. '15: the Film Society of Lincoln Center announces its other sidebar programs of special events and revivals. Here they are. The Special Events lineup includes important new works and premieres, as well as a very special celebration of a beloved musical fantasia. The Revivals selections includes 11 international masterpieces from renowned filmmakers whose diverse and eclectic works have been digitally remastered, restored, and preserved with the assistance of generous partners, including Martin Scorsese’s Film Foundation, celebrating its 25th anniversary. In Laurie Anderson’s plainspoken all-American observational-autobiographical art, voices and harmonies and rhythms and images are juxtaposed and layered, metaphors are generated, and the mind of the viewer/listener is sent spinning into the stratosphere. It’s been nine years since her last film and almost 30 since her last feature. Heart of a Dog is her response to a commission from Arte, a work of braided joy and heartbreak and remembering and forgetting, at the heart of which is a lament for her late beloved piano-playing and finger-painting dog Lolabelle. Life in the neighborhood—downtown New York after 9/11... the archiving of surveillance records in ziggurat-like structures… Lolabelle’s passage through the bardo… recollections of deaths and near-deaths, terrors personal and global, sad goodbyes and funny ones, dreams and imagined flights… acceptance: Heart of a Dog is as immediate as a paragraph by Kerouac, as disarmingly playful as a Cole Porter melody, as rhapsodically composed as a poem by Whitman, and a thing of rare beauty. This year marks the 15th anniversary of Joel and Ethan Coen’s beloved roots-musical fantasia, “based upon The Odyssey, by Homer,” about three escaped convicts (George Clooney, Tim Blake Nelson, and John Turturro) trying to get back home in the rural South of the 1930s. Bigger than life, endlessly surprising, eye-popping (“they wanted it to look like an old hand-tinted picture,” said DP Roger Deakins), and as giddily and defiantly unclassifiable as all other Coen films, O Brother, Where Art Thou? is, among many other things, a celebration of American music. With a score curated and produced by T-Bone Burnett, the movie sings with voices and sounds of some of the best musicians in the country, including Ralph Stanley, the Fairfield Four, Alison Krauss, John Hartford, Emmylou Harris, and Gillian Welch, and the melodies of classics like “Big Rock Candy Mountain,” “I’ll Fly Away,” and the film’s touchstone, “Man of Constant Sorrow.” Cast members, musical guests, and Joel and Ethan Coen will be on hand. Bring your instrument! A Touchstone Pictures and Universal Pictures release. A film that looks into the abyss, this shattering portrait of the horror of Auschwitz follows Saul (Géza Röhrig), a Sonderkommando tasked with delivering his fellow Jews to the gas chamber. Determined to give a young boy a proper Jewish burial, Saul descends through the death camp’s circles of Hell, while a rebellion brews among the prisoners. A bombshell debut from director and co-writer László Nemes, Son of Saul is an utterly harrowing, ultra-immersive experience, and not for the fainthearted. With undeniably virtuoso plan-séquence camerawork in the mode of Nemes’s teacher Béla Tarr, this startling film represents a new benchmark in the historic cinematic depictions of the Holocaust. A deeply troubling work, sure to be one of the year’s most controversial films. A Sony Picture Classics release. One of Brian De Palma’s greatest films and one of the great American films of the 1980s, Blow Out is such a hallucinatory, emotionally and visually commanding experience that the term “thriller” seems insufficient. De Palma takes a variety of elements—the Kennedy assassination; Chappaquiddick; Antonioni’s Blow-Up; the slasher genre that was then in full flower; elements of Detective Bob Leuci’s experiences working undercover for the Knapp Commission; the harshness and sadness of American life; and, as ever, Hitchcock’s Vertigo—and swirls and mixes them into a film that builds to a truly shattering conclusion. With John Travolta, in what is undoubtedly his greatest performance, as the sound man for low-budget movies who accidentally records a murder; Nancy Allen, absolutely heartbreaking, as the girl caught in the middle; John Lithgow as the hired killer; and De Palma stalwart Dennis Franz as the world’s biggest sleaze. This was the second of three collaborations between De Palma and the master DP Vilmos Zsigmond. MGM Home Entertainment. The 1985 New York Film Festival opened with Akira Kurosawa’s astonishing medieval epic, inspired by the life of Mori Motonari, a 16th-century warlord with three sons. It was only after he began writing that the filmmaker started to see parallels with King Lear. It took a decade for Kurosawa to bring his grand conception to the screen—he actually painted storyboards of every shot along the way, and made another great film, Kagemusha, as a dry run. The finished work he eventually gave us was, to put it mildly, a mind-blowing experience. Tatsuya Nakadai is the warlord, Akira Terao, Jinpachi Nezu, and Daisuke Ryu are his sons, Mieko Harada is the terrifying Lady Kaede, the score is by Toru Takemitsu, but the dominant force looming over every single element of this film, down to the smallest detail, is Kurosawa himself. The color palette of Ran is unlike that of any other movie made before or since, as you’ll see in this newly restored version. Restoration by StudioCanal with the participation of Kadokawa Pictures. A Rialto Films release. When it comes to the wuxia film, all roads lead back to the great King Hu: supreme fantasist, Ming dynasty scholar, and incomparable artist. For years, Hu labored on his own, creating one exquisitely crafted film after another (with astonishing pre-CGI visual effects), elevating the martial-arts genre to unparalleled heights and, as the film critic and producer Peggy Chiao noted in her obituary for Hu, single-handedly introducing Chinese cinema to the rest of the world. Hu’s three-years-in-the-making masterpiece, A Touch of Zen, was released in truncated form in Hong Kong in 1971 and yanked from theaters after a week. A close-to-complete version was constructed by Hu and shown at the 1975 Cannes Film Festival, where Hu won a grand prize for technical achievement (which earned King Hu an apology from his studio heads). This beautiful restoration of A Touch of Zen was presented at this year’s edition of Cannes, 40 years after the film’s first unveiling to Western eyes. Restored in 4K by L’Immagine Ritrovata, with original materials provided by the Taiwan Film Institute. A Janus Films release. The late, great Manoel de Oliveira stipulated that this film—made in 1982—be screened publicly only after his death. One of the Portuguese master’s most exquisite and moving films, and certainly his most personal, Visit assumes the rare form of an auto-elegy. A prowling camera finds Oliveira, who died at 106 this past April, in the Porto house where he had lived for four decades and that he is preparing to leave due to mounting debts. He addresses the audience directly, setting the film’s droll, convivial tone, and discusses a wide range of topics (family history, cinema, architecture), shares home movies, and reenacts his run-in with the military dictatorship. Oliveira’s improbable career took the form of a long goodbye, but this actual farewell is no less touching in its simplicity and lucidity. He made the film at age 73, presumably expecting he was near the end of his life. He would in fact live another 33 years and make another 25 or so films, some of them among his greatest, in an extended twilight that was also an artistic prime unlike any other. An Instituto Portugues de Cinema release. This year marks the 25th anniversary of The Film Foundation. Following his successful campaign in the early ’80s to develop a more durable color film stock, Martin Scorsese founded the organization to raise awareness of the fragility of film and to create a genuine consciousness of film preservation. Since its inception in 1990, TFF has partnered with archives, studios, and labs around the world to restore over 700 films. We’re presenting seven of their newest restorations. Ousmane Sembene’s first feature—really, the movie that opened the way for African cinema in the West—is by turns tough, swift, and true in its aim. A young woman (Mbissine Thérèse Diop) leaves Senegal with dreams of a more carefree and glamorous existence in France, where she procures a job as a live-in maid and nanny for a young couple in the French Riviera. She is gradually deadened by the endless routines and tasks and rhythms of life in the tiny apartment, and by the dissatisfactions felt by the husband and wife, which they project onto their “black girl.” Sembene’s “perfect short story,” wrote Manny Farber, naming it as his movie of 1969, “is unlike anything in the film library: translucent and no tricks, amazingly pure, but spiritualized.” A formative and eye-opening work, and one of Sembene’s finest. Restored by The Film Foundation’s World Cinema Project in collaboration with the Sembene Estate, Institut National de l’Audiovisuel, INA, Eclair laboratories, and Centre National de Cinématographie. Restoration carried out at Cineteca di Bologna/L’Immagine Ritrovata Laboratory. A Janus Films release. This “group portrait of four laddish adolescents on the razzle in Kaohsiung as they approach the onset of adult life” (Tony Rayns) is Hou Hsiao-hsien’s fourth film, but he has long considered it to be the real beginning of his career as a moviemaker. “I had very intense feelings at the time,” Hou told Sam Ho, “and I think the film has an intense energy. An artist’s early work might be lacking in craft but, at the same time, be very powerful, very direct. Later, when I wanted to return to that initial intensity, I no longer could.” In the tradition of Fellini’s I Vitelloni, The Boys from Fengkuei is a deeply personal look back at the director’s own adolescence—at the boredom of living in the middle of nowhere and the overwhelming need to get up and move, and get out and away to the big city. A glorious young-man’s film, and the first great work of the Taiwanese New Wave. Restoration by the Cineteca di Bologna. A Cinémathèque Royale de Belgique release. The legendary Ernst Lubitsch’s portrait of a turn-of-the-century hedonist extraordinaire begins at the gate of hell—not Dante’s Inferno but a handsome art-deco waiting room, where a courtly Satan (Laird Cregar) conducts an admission interview with the recently deceased Henry Van Cleve (Don Ameche). Henry’s leisurely stroll through the past is a very funny comedy of manners and a lovely rendering of Old New York. Lubitsch’s writing with Samson Raphaelson — Satan: “I presume your funeral was satisfactory.” Henry: “Well, there was a lot of crying, so I believe everybody had a good time.”—and his meticulous direction are all of a piece. The film’s glorious, candy-box Technicolor has now been beautifully restored by Schawn Belston and his team at 20th Century Fox, just in time for the 100th Anniversary of the Fox Film Corporation. With Gene Tierney, Louis Calhern, Eugene Pallette, Marjorie Main, and Charles Coburn as Henry’s grandfather and fellow black sheep. Restored by 20th Century Fox in collaboration with the Academy Film Archive and The Film Foundation. A 20th Century Fox release. In Lino Brocka’s searing 1976 melodrama (one could use the same adjective to describe all of his melodramas), the eponymous heroine, played by Hilda Koronel, is raped by her mother’s boyfriend, then blamed for provoking the act and forced out of her own home. “Insiang is, first and foremost, a character analysis,” wrote the director. “I need this character to recreate the ‘violence’ stemming from urban overpopulation, to show the annihilation of a human being, the loss of human dignity caused by the physical and social environment…” The people in Brocka’s films live in dire circumstances, offset by their extreme vitality and their electrically charged encounters. Insiang, a failure on its home ground but the first film from the Philippines to be invited to Cannes, is one of its director’s best. It is also the second of Brocka’s works to be restored by the World Cinema Project. With Mona Lisa as Insiang’s mother. Restored in 2015 by Cineteca di Bologna/L'Immagine Ritrovata. Restoration funding provided by The Film Foundation's World Cinema Project and the Film Development Council of the Philippines. A Film Foundation release. Independently produced by Walter Wanger, John Ford’s soulful, heartbreaking film is based on four Eugene O’Neill one-acts about life at sea (the playwright himself loved the movie so much that he acquired his own 16mm print). Ford, working with his screenwriter Dudley Nichols and his brilliant cameraman Gregg Toland (they had just collaborated on The Grapes of Wrath), updates the plays to World War II and condenses the action, creating tonal variations on the aching loneliness of life at sea and the longing for home. In the words of Ford biographer Joseph McBride, the director and his DP “broke all the rules of conventional Hollywood cinematography” and created “a doom-laden mood with deep pools of light and shadow”—seen to full advantage in this beautiful restoration. The Long Voyage Home is a true ensemble piece featuring many of the actors that comprised Ford’s “stock company,” including Thomas Mitchell, Barry Fitzgerald and his brother Arthur Shields, John Qualen, and, unforgettably, John Wayne as the Swedish sailor Ole. Restored by the UCLA Film & Television Archive. Restoration funding provided by the Hollywood Foreign Press Association and The Film Foundation. A Westchester Films and Shout! Factory release. The third of Marcel Ophüls’ monumental inquiries into the questions of individual and collective guilt fueling the calamities of war and genocide, The Memory of Justice examines the defining tragedies of the Western world in the second half of the 20th century, from the Nuremberg trials through the French-Algerian war to the disaster of Vietnam, building from a vast range of interviews, from Telford Taylor (Counsel for the Prosecution at Nuremberg, later a harsh critic of our escalating involvement in Vietnam) to Nazi architect Albert Speer to Daniel Ellsberg and Joan Baez. As Vincent Canby wrote in The New York Times when The Memory of Justice was screened at the 1976 New York Film Festival, Ophüls’ film “expands the possibilities of the documentary motion picture in such a way that all future films of this sort will be compared to it.” Seldom seen since its premiere and then only in rare 16mm prints, the film has now been painstakingly restored. Restored by the Academy Film Archive in association with Paramount Pictures and The Film Foundation. Restoration funding provided by The Material World Charitable Foundation, Righteous Persons Foundation, and The Film Foundation. A Film Foundation release. Luchino Visconti’s rich and expansive masterpiece, the story of a mother and her grown sons who head north from Lucania in search of work and new lives, has an emotional intensity and a tragic grandeur matched by few other films. Visconti turned to Giovanni Testori, Thomas Mann, Dostoyevsky, and Arthur Miller for inspiration, and he achieved an truly epic sweep: in one beautifully realized scene after another, we observe the tragic progress of a tightly knit family coming apart, one frayed thread at a time. Alain Delon is Rocco, Renato Salvatori is his brother Simone, Annie Girardot is the woman who comes between them, and Katina Paxinou is the matriarch, Rosaria. Rocco and His Brothers, one of the great and defining films of its era, has now been beautifully restored, and Giuseppe Rotunno’s black-and-white images are once again as pearly and lustrous as they were meant to be. Restored by Cineteca di Bologna/L’Immagine Ritrovata in association with Titanus, TF1 Droits Audiovisuels, and The Film Foundation. Restoration funding provided by Gucci and The Film Foundation. A Milestone Film release. Last edited by Chris Knipp; 08-21-2015 at 06:44 PM. 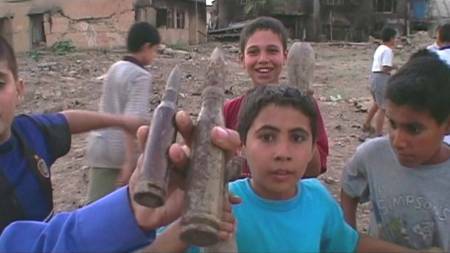 NYFF 2015 Spotllight on Documentary series program announced. This is a lovingly crafted film about one of the cinema’s most luminous and enchanting presences, composed from her letters and diaries (extracts of which are read by Alicia Vikander), the memories of her children (Pia Lindström and Isabella, Ingrid, and Roberto Rossellini), and a few close friends and colleagues (including Liv Ullmann and Sigourney Weaver), photographs, and moments from thousands of feet of Super-8 and 16mm footage shot by Bergman herself throughout the years. Stig Björkman’s focus is not on Bergman the star but on Bergman the woman and mother: orphaned at 13, drawn to acting on the stage and then on film, sailing for Hollywood at 24 and then leaving it all behind for a new and different life with Roberto Rossellini. Ingrid Bergman in Her Own Words is, finally, a self-portrait of a truly independent woman. A Rialto Pictures release. Fred Wiseman’s 40th feature documentary is about Jackson Heights, Queens, one of New York City’s liveliest and most culturally diverse neighborhoods, a thriving and endlessly changing crossroad of styles, cuisines, and languages, and now—like vast portions of our city—caught in the gears of economic “development.” Wiseman’s mastery is as total as it is transparent: his film moves without apparent effort from an LGBT support meeting to a musical street performance to a gathering of Holocaust survivors to a hilarious training class for aspiring taxi drivers to an ace eyebrow-removal specialist at work to the annual Gay Pride parade to a meeting of local businessmen in a beauty parlor to discuss the oncoming economic threat to open-air merchants selling their wares to a meeting of undocumented individuals facing deportation. Wiseman catches the textures of New York life in 2015, the music of our speech, and a vast, emotionally complex, dynamic tapestry is woven before our eyes. A Zipporah Films release. The titular troublemakers are the New York–based Land (aka Earth) artists of the 1960s and 70s, who walked away from the reproducible and the commodifiable, migrated to the American Southwest, worked with earth and light and seemingly limitless space, and rethought the question of scale and the relationships between artist, landscape, and viewer. Director James Crump (Black White + Gray) has meticulously constructed Troublemakers from interviews (with Germano Celant, Virginia Dwan, and others), photos and footage of Walter De Maria, Michael Heizer, Robert Smithson, Nancy Holt, and Charles Ross at work on their astonishing creations: Heizer’s Double Negative, a 1,500-feet long “line” cut between two canyons on Mormon Mesa in Nevada; Holt’s concrete Sun Tunnels, through each of which the sun appears differently according to the season; De Maria’s The Lightning Field in New Mexico; and Smithson’s Spiral Jetty, built on the Great Salt Lake in Utah. A beautiful tribute to a great moment in art. What comprises political engagement in 2015? Is it still possible to influence the course of events in this world? These are the questions posed by the great Chilean filmmaker Carmen Castillo (her Calle Santa Fe was a selection of the 2007 NYFF) in this new documentary essay. Castillo, herself a one-time MIR militant expelled from Chile by the Pinochet regime, structures her film in dialogue with the writings of her late friend Daniel Bensaïd, organizer of the Paris student revolts in May ’68 and France’s leading Trotskyite philosopher. In Europe and Latin America, Castillo finds the ones who have resisted, from the masked Zapatistas of Chiapas in Mexico to the Water Warriors of Cochabamba in Bolivia, from the Landless Workers movement in Brazil to the striking workers at the Donges refinery in western France to the homeless squatters of Marseille. A mournful premise lays the groundwork for a radiantly hopeful film. Last edited by Chris Knipp; 08-30-2015 at 09:36 AM. NYFF 2015 Filmmakers' talks and new extended shorts programs. Talk appearances by Hou Hsiau-hsien, Jia Zhang-ke, Michael Moore, and Todd Haynes are planned. Many shorts in an expanded series of sidebar presentations of all kinds this year that no one person could cover. The press release is below. 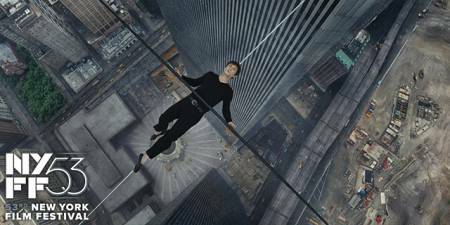 Filmleaf's Festival Coverage will include any that are scheduled with the press screenings. For illustrated details click on the title above or the NYFF logo below for the Film Society of Lincoln Center's website's illustrated announcements of these offerings. 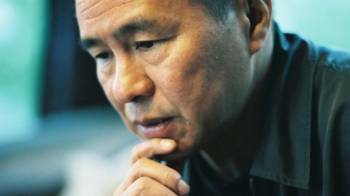 Hou Hsiao-hsien directed his first film in 1980, after years of assisting and writing for other filmmakers. Three years later, he made the autobiographical The Boys from Fengkuei, which he considers to be the real beginning of his work as an artist in cinema. From there, he went on to create several of the defining works of the Taiwanese New Wave, one of the greatest moments in the cinema of the last decades, and then to make one astonishing film after another. With every new movie from The Puppetmaster (NYFF 1993) on, Hou redefined the very idea of what a movie was, for himself and for the rest of us. Immersive, grounded in history and change but tuned to the smallest nuances of gesture, light, color, and atmosphere, every individual Hou film arrives as a shock. And his new film The Assassin, his first in eight years, is no exception: audiences in Cannes were left open-mouthed. It’s been a long time since Hou has been in New York, and we’re very pleased that this true master accepted our invitation to discuss some of the movies that have marked him in his life as a filmmaker. If, hundreds of years from now, anyone wanted to know what it was like to be alive at this moment—what life felt like and what changes were occurring and the ways in which they affected us as individuals—they could get the whole picture from watching the films of Jia Zhangke. From the moment he burst on the scene with Xiao Wu in the late ’90s, this artist has given us a river of films, made with a team of regular collaborators (including his wife and principal actress Zhao Tao and his cinematographer Yu Lik-wai), each film as pungently human but wide in scope as a Breugel canvas. The world itself is a character in Jia’s films, urging the characters on and informing the speed of life. We’ve shown many of his movies in the NYFF over the years, from Platform in 2000 on, and we’re proud to have him here with his newest movie, Mountains May Depart, and we’re very happy that he’s agreed to join us for a talk about his extraordinary body of work. “Democracy is not a spectator sport, it’s a participatory event,” said Michael Moore at a 2009 press conference. “If we don’t participate in it, it ceases to be a democracy.” Moore has been an active participant since his childhood in Flint, Michigan, where he was raised in a union family—his uncle was actually a UAW founder and a participant in the great General Motors sit-down strike of 1936. In 1989, Moore’s participation took the form of a film called Roger & Me (NYFF 1989), a spirited, funny, white-hot attack on GM, which had by then moved most of their jobs out of the country and devastated the once-thriving region, a scenario that was repeated many times throughout the country. In the years since, Moore has been launching brilliantly planned comic attacks on the NRA and the gun industry (Bowling for Columbine), the American response to 9/11 (Fahrenheit 9/11), the health-care industry (Sicko), capitalism itself (Capitalism: A Love Story), and, with his new film Where To Invade Next, the divide between America’s lofty self-image and the less impressive reality. We’re happy to have him back at the NYFF for this discussion about his movies. A genuinely independent filmmaker, Todd Haynes has an impressive body of work that is grounded in the pressures of conformity, bearing down on individuals and sometimes resulting in illness (Superstar: The Karen Carpenter Story, Safe) or other forms of entrapment (Far from Heaven, Mildred Pierce), sometimes in transcendence (Velvet Goldmine, I’m Not There). With Carol, his remarkable new adaptation of Patricia Highsmith’s The Price of Salt, Haynes has given us a delicately nuanced work about the slowly evolving romance between two women in 1950s America, and found a reverberant emotionalism with his actors (Cate Blanchett and Rooney Mara) and his cinematographer (the great Ed Lachman) that is a wonder to behold. We’re excited to have this singular artist joining us for a discussion about his work. Featuring films by a selection of new talents, this year’s lineup of shorts includes lyrical work from Australia and Chile, a pair of Buenos Aires–set romps from Argentine co-productions, and a bittersweet goodbye story from Austria. Programmed by Sarah Mankoff. When his donkey gets sick, an old farmer is hesitant to betray his fondness for the animal to his matter-of-fact wife who insists on putting the donkey down. In a program brand-new to the NYFF focusing on the best in genre film—horror, thrillers, sci-fi, twisted noir, and fantasy shorts from around the world—this handful of tales from the dark side features a period piece of terror in distant lands from the co-director of Persepolis, a haunted psyche that reveals itself in very strange ways, a lesson in being bad, horror-film love turned life-threatening, and some silent but deadly revenge. Programmed by Laura Kern. A sheepherder and his trusty dog witness unspeakable horrors in a remote valley of the French Pyrenees in 1957. Laryngitis may be a singer’s worst nightmare, but battling deep anxieties about life’s sacrifices can be even more terrifying. In this delightfully demented homage to the golden days of monster movies, Supervillain (a perfect Terence Harvey) leads us on a thrilling guided tour of the ways of evil. One dark night, a no-nonsense blonde carries out a mission of brutal vengeance. An eclectic mix of styles and themes, this program of animated shorts brings New York audiences a selection of stunning recent works from around the globe. Please note: this program is not for children! Programmed by Matt Bolish and Sarah Mankoff. Drug-addict Lorraine and her boyfriend Caesar are having a nightmarish 24 hours until Lorraine calls up her sister, CiCi, for help. When a lonely man accidentally ingests a grow-your-own-girlfriend expandable water toy, he becomes extremely popular with the coolest dude in town. After a bad breakup leaves her heartbroken and depressed, Mira goes on a psychedelic trip in search of her spirit animal in order to feel whole again. While investigating a mysterious explosion deep in the Everglades, a crop duster’s discovery of a lone surviving crate sets off a series of unfortunate events. We are what we eat—from cheeseburgers to chocolate-covered pretzels—in this stop-motion documentary that explores how we choose the foods we consume. A blissed-out squirrel rolls through a meadow of objects. A new addition to the New York Film Festival, this program showcases recent short-form work from some of the most exciting filmmakers living and working in New York today, an eclectic mix of familiar faces, established names, and unheralded ones to watch. Programmed by Florence Almozini and Dan Sullivan and sponsored by the City of New York Mayor’s Office of Media and Entertainment. Jason Giampietro’s latest hilarious short follows neurotic hypochondriac Rudy (Stephen Gurewitz), who is convinced he is suffering from a hernia, as he heads out into the night in search of sympathy from his friends, all of whom have lost their patience with him. James N. Kienitz Wilkins’s funny and heady work of lo-fi sleight-of-hand centers on an interview between the filmmaker and a man describing a unique experience, but his entertaining reminiscence proves to be not at all what it seems. The Silver Bear winner at this year’s Berlinale comically chronicles the psychodrama and boundary-testing that arises between a needy young woman (Joanna Arnow) and her more confident roommate (Eleanore Pienta) when the latter gets a boyfriend (Keith Poulson). A young woman recounts a story to a group of friends who listen with rapt attention, but the tale sounds very familiar… Another masterful and clever work by one of the world’s premier shorts filmmakers. World Premiere. Last edited by Chris Knipp; 08-25-2015 at 08:10 PM. Directed by Abbas Fahdel. Chronicles of everyday life in Iraq before and after the U.S. invasion. In two parts, total, 5 1/2 hours long. Last edited by Chris Knipp; 08-30-2015 at 09:41 AM. New York, NY (August 27, 2015) – The Film Society of Lincoln Center, Film Comment magazine and Indiewire announced the eight finalists for the fourth annual New York Film Festival (NYFF) Critics Academy, a workshop for aspiring film critics that takes place before and during the festival (September 25– October 11). The program is designed to nurture promising film critics and journalists as they attend and cover screenings and events at this year’s festival. For this year’s NYFF, the eight chosen participants - all based in the New York area - will have the opportunity to immerse themselves in a wide variety of international cinema while dealing with the practical challenges of covering a festival at the epicenter of New York’s film culture. The participants will cover the festival with reviews of films in the selection, articles on sidebar events, in-depth reflections on the various program sections, or interviews with the festival’s guests. The 2015 NYFF Critics Academy will begin several days prior to the start of the festival with roundtable discussions continuing over the course of the following five days (participants will also have the option of attending press screenings earlier in the month). Participants will then work on covering the festival once it begins, with guidance from the Film Society of Lincoln Center’s Deputy Director Eugene Hernandez and NYFF Critics Academy mentor Brian Brooks, Indiewire’s Deputy Editor and Chief Film Critic Eric Kohn, Film Comment magazine Senior Editor Nicolas Rapold, and Film Comment Digital Editor Violet Lucca. Their coverage will be published on Indiewire’s Criticwire blog and FilmComment.com. The workshop will officially conclude on October 11, the last day of the festival. These are the names of the eight people selected for the second annual NYFF Critics Academy: Philip Falino (Nassau County), Demitra Kampakis (Queens), Phuong Le (Westchester City), Katherine Nero (Manhattan), Conrado Falco Raez (Manhattan), Elissa Suh (Brooklyn), Rodney Uhler (Brooklyn), and Nick Usen (Manhattan). First launched as an initiative during the 2012 Locarno Film Festival, with a local version produced during the 2012 New York Film Festival, the combination of candid discussions with working critics and other members of the industry—paired with experience covering cinema in a deadline-driven environment—has proven to be the right kind of fuel for the professionally minded critic to begin sketching out a career plan. The Critics Academy is one of two educational initiatives set to take place during NYFF, the other being the Artists Academy for young filmmakers. Just as that program guides filmmakers who show tremendous promise, the Critics Academy aims to provide context and pointers for critics who are already showing great potential in their writing, sensibilities, and professional motivation. Last year a pal of mine met at another NYFF, Tim Wainwright, was a member, and I found out what an exciting and challenging experience this is. It's quite an honor (or elitist gesture?) since there are only eight. It might be nice if there were a few more, and members came from other parts of the country (or indeed the world), but this is a great program. The FSLC mentors realized at the last minute they had included no female members and added one; this year they've gotten ahead of the game and named three first off. Members attend the screenings, have round tables, meet with personalities of the FSLC and visiting filmmakers, and are given assignments, all designed to inspire and train them as future film critics. It's a good idea. Last edited by Chris Knipp; 08-27-2015 at 12:16 PM. A glimpse of some fall releases with with historical or period themes, four of the seven included in the 2015 NYFF. I'm reprinting this little preview of some potentially noteworthy fall US movies releases helpfully compiled for The New Yorker by the magaszine's all around movie writer and film blogger, Richard Brody. Three of these (highlighted in boldface) are 2015 NYFF selections-- Carol, admired at Cannes, a surprise to some that it didn't win the Palme d'Or; Bridge of Spies , another NYFF selection, a good mainstream bet for the Film Society given that Captain Philips, also starring Hanks and a 2013 NYFF featured big release, scored very high with mainstream critics, though I preferred Tobias Lindholm's similarly themed, more authentic and wider contexted A Hijacking. Almareyda's Experimenter, also in the NYFF, sounds very good to me; it has been spoken of as a cooler more inventive treatment of the kind of theme The Stanford Prison Experiment recently dealt with in a so-so fashion (but with interesting young actors). I don't know much about Brooklyn (the latter debuted at Sundance); the FSLC likes some New York-flavor in the festival, and it's a selection too. Zwick's Flight was featured in the 21012 NYFF; I liked Denzel's serious performance and its frank depiction of addiction. Not as impressed with it as a film, but it got decent reviews; but I'm dubious aboutPawn Sacrifice (not a NYFF selection) -- a tough subject with Tobey Maguire an odd choice for the lead. Trailers are playing in cineplexes. I have no crystal ball to tell me if the Brangelina vanity effort will be worth watching. Black Mass, which debuted at Venice, is up on cineplex posters, and it includes Benedict Cumbertatch as well as Johnny Depp. The latter of course played Dillinger in Michael Mannn's digitally glamorous Public Enemies in 2009. From The New Yorker 31 Aug. 2015. As the year’s prestigious releases roll in with an eye toward Oscar season, historical reconstructions—whether based on true stories or on classic fiction—will dominate screens. 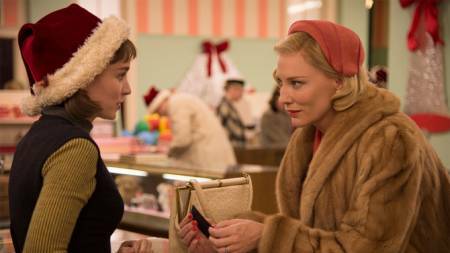 Carol [NYFF} (opening Nov. 20), directed by Todd Haynes, is set in 1952 New York. Rooney Mara plays a sales clerk who falls in love with a married woman (Cate Blanchett). It’s based on a novel, The Price of Salt, that Patricia Highsmith originally published under a pseudonym. Black Mass (Sept. 18) is a bio-pic about the Boston mobster Whitey Bulger (Johnny Depp), who, in the nineteen-seventies, became an informant for the F.B.I. Scott Cooper directed; Dakota Johnson co-stars. Pawn Sacrifice (Sept. 18), directed by Edward Zwick, depicts the Cold War machinations behind the 1972 world-championship chess match between Brooklyn’s own Bobby Fischer (played by Tobey Maguire) and the reigning champion at the time, Boris Spassky (Liev Schreiber), of the Soviet Union. Steven Spielberg’s Bridge of Spies] [NYFF] (Oct. 16), based on the so-called U-2 incident of 1960, tells the story of secret efforts to free the American pilot Francis Gary Powers from Soviet captivity. Tom Hanks plays James B. Donovan, the attorney who negotiated for his release; Amy Ryan plays the attorney’s wife, Mary McKenna Donovan; and Austin Stowell plays Powers. .
Brooklyn (Nov. 6), directed by John Crowley and adapted by Nick Hornby from a novel by Colm Tóibín, stars Saoirse Ronan as an Irish immigrant in New York in the nineteen-fifties. Michael Almereyda directed Experimenter (Oct. 16), a dramatization of a 1961 psychology experiment by Stanley Milgram (played by Peter Sarsgaard), in which subjects were induced to administer electric shocks to a designated victim. Angelina Jolie directed, wrote, and stars in By the Sea (Nov. 13), a drama set in France in the nineteen-seventies, about a couple—a retired dancer, played by Jolie, and a blocked writer, played by Brad Pitt—who are struggling to save their marriage. --Richard Brody in The New Yorker, 31 Aug. 2015. Last edited by Chris Knipp; 08-28-2015 at 07:58 PM.